Each will be packed individually, and several pieces will be packed in one master carton according to the size. Eavh master carton will be protected by hard angle too. 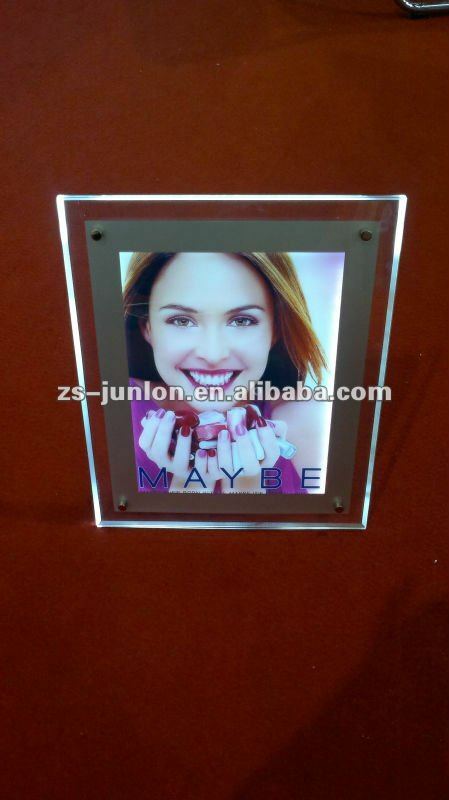 This crystal lighting photo frame combines a unique LED lighting supreme panel which transfers an equal spread of light to all the facing of light box.creating not only a supreme unite bright image,but a lighting contour that shows a surrounding lighting frame.It achieves a beautiful final product that makes any brand look bright and glamorous. Each will be packed individually, and several pieces will be packed in one master carton.angles on the master carton protected by hardboard. 1. Customers’ designs are welcomed. 2. Installing instructions, customers' sizes and colors are available. 3. Posters with customers' digital files can be printed and installed into light boxes.